For the past year, Traceable Change has been partnering with the UX team at iCrossing to put on a number of Chicagoland UX community events. 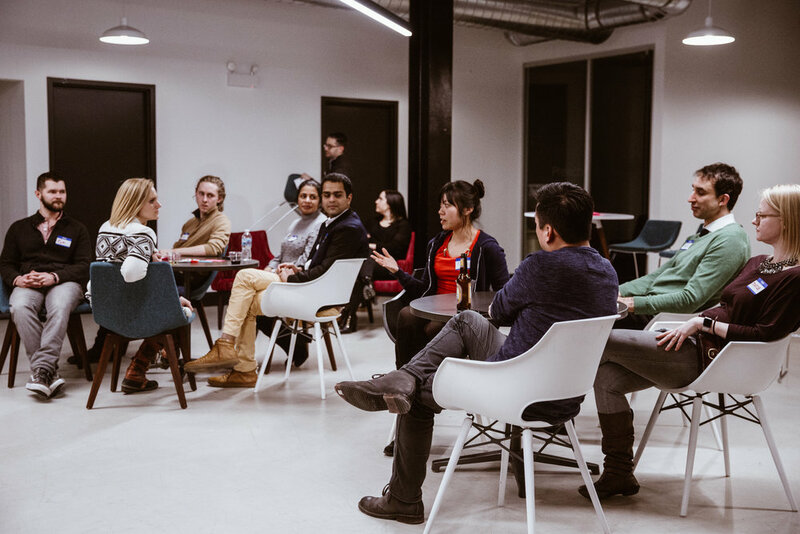 Together, we created the “UX Love” group to host events that foster a sense of connection and camaraderie with our industry peers. We strive to create a relaxed, approachable atmosphere, where people can easily make new connections and learn from each other at the same time. We also love to include diverse perspectives, so instead of us proclaiming our point of view to the group each time, we often invite clients and professional contacts to participate in the discussions. Recently, we hosted a roundtable event called “I Heart UX” in celebration of Valentine’s Day. It may seem odd to leverage this particular holiday for a professional event, but our name is rooted in love after all. Plus, we figured it would be a good opportunity to get people together after the holiday season and the latest polar vortex. Keeping the U in UX: Although we know that user research is an integral part of the UX process, sometimes it can be challenging to get buy-in. Research is perceived as expensive and time-consuming, and that can be a real turn-off for important stakeholders. For this panel, we came together as UX experts (on both the internal and consulting side) to share experiences and brainstorm ways to help our colleagues understand the importance of conducting user research, and how to effectively integrate those activities into engagements. We are so excited and motivated by the community UX Love is building, and we hope you’ll join us in the future! Gino Fiore is one of the founders of Traceable Change. 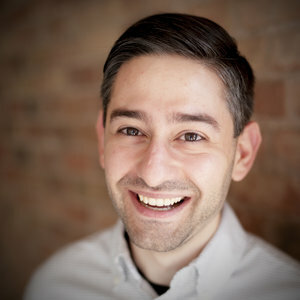 In addition to his recent collaboration with iCrossing to create UX Love, Gino is a design mentor at Designation Labs and a program coordinator at UIC connectID. 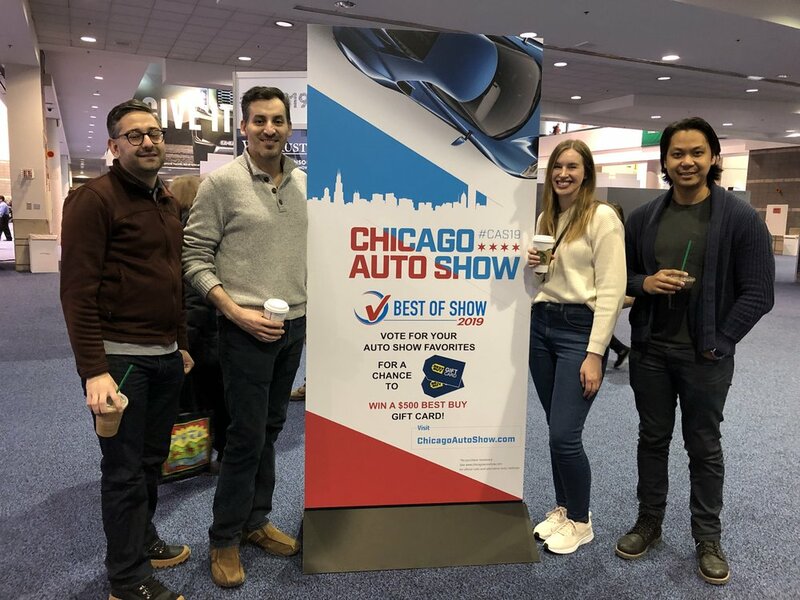 The annual auto show just wrapped in Chicago and the TC team was on site checking out the latest and greatest in technology and design trends. I’ll admit, I started the show this year sort of bummed knowing that my favorite manufacturer, BMW, wouldn’t be there. But thanks to a jolt of caffeine from my iced latte and the enthusiastic attitudes of my colleagues, my spirits were lifted, and I was ready to dive in. Erik and Jillian had joined me at the show in the past, but this was Blue’s first trip with me. I was slightly worried my excessive car speak would freak him out but, fortunately, he’s a car lover too and he joined right in! At one point, we actually had to pry him away from the Mazda exhibit where he was chatting up a rep and getting some exclusive swag. The trends from previous years persisted. 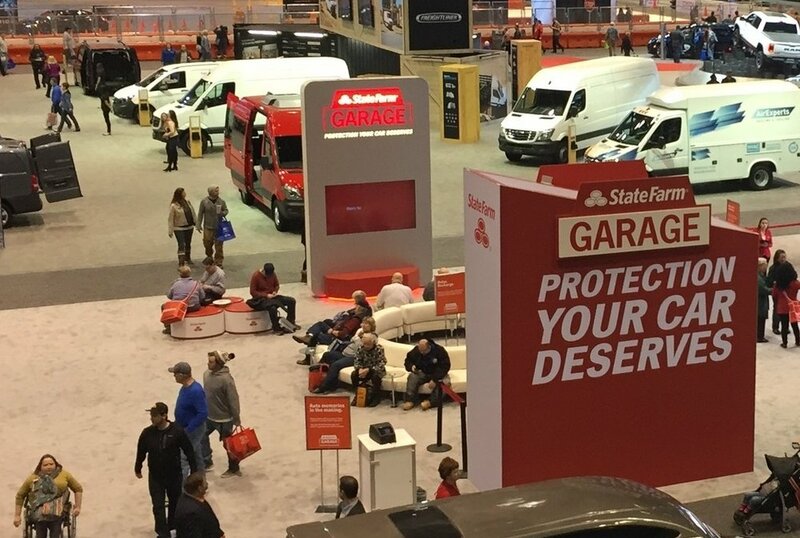 Similar to recent years, many manufacturers offered swanky lounges for attendees to retreat from the crowds and keep people in their booth and focused on their lineup. Numerous manufacturers also offered participatory activities, hoping to create memorable brand experiences. A few we found interesting were Toyota and Honda’s virtual driving experiences - Toyota gave attendees an opportunity to get behind the wheel of their 2020 Supra, while Honda showcased new tech features in their all-new Passport through an augmented reality experience. The integration of infotainment screens is evolving. When we jumped into the driver’s seats to experience the vehicles, we encountered a basic challenge across many manufacturers – infotainment systems were powered off. While we understand the rationale, the group became increasingly disappointed as we walked from car to car trying to find an operable system to explore. After all, the infotainment systems are one of the top interactive components in the vehicle and have a huge influence on the car’s overall experience. Preventing attendees from experimenting with these systems felt like a missed opportunity. Floating tablet screen: This trend started in the early 2010s. Back then, you may have seen it introduced in Mercedes-Benz and BMW models, and it has become common across most manufacturers over recent years. What we liked about some of the new models we saw was the integration of physical buttons on either side of a touch screen to help drivers’ navigate the infotainment’s functionality through tactile interactions. Full integrated screen: Like Buick and Volkswagen, several manufacturers have stayed true to the fully integrated dash screen and some are bringing it back. For instance, the 2019 Audi A6 is reintroducing the fully integrated dash infotainment screen and repeating it in the Q8 as well. Our only hesitation with the Audi models is its sole reliance on touch screens; it has few physical buttons at all. The “in-between” screen: Lastly, we noticed several manufacturers using a frame or bezel-like structure around their infotainment screens to make them appear more integrated into the dash design. Hyundai and Toyota, shown above, implement this style with eccentric shapes and a lot of extra plastic. Cadillac’s version is more subtle, using premium materials to shape the screen bezel. A tailgate that is a step above. One feature that really caught our eye was GMC’s new and noteworthy Sierra 1500 tailgate. It has several unique configurations, which provide fresh functionality and interaction with the cargo area. The tailgate in its standard, secured state. The tailgate opened in its traditional format. 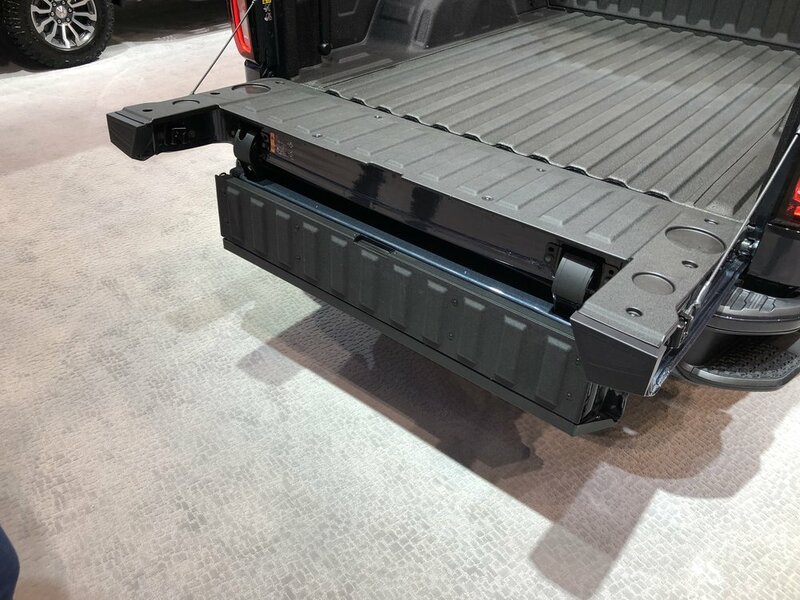 At the top, there’s a small panel running almost the full width of the tailgate that flips out and functions as a “load stop” for longer items (refer to last photo in this section). The inner gate folded down, for hauling longer, second tier items. The “load stop” panel can open in this state as well, to make sure those second-tier items stay put. The inner gate can be also be used here as a work surface. The main and inner gate folded down, for sliding large, heavy items into the truck bed. The “load stop” folded down, forming a step for users to get inside the cargo area. It can also function as a bench in this state, for tailgating. Overall, our team was impressed by the thoughtful functionality of this design and explored the configurations for some time. Well, until the GMC reps had enough of my shenanigans and started giving me the side-eye. To be honest, I’m pretty clumsy and I’m surprised that I didn’t lose a finger. We love a clean line. The 2019 Mazda 3 was a top choice for exterior and interior styling. We loved how Mazda fused the door handle into the metal trim, making it appear seamless and providing a really clean aesthetic. Although the changes are subtle on the 2019 Porsche 911, the rear taillights and logo integration are perfectly minimal. The logo seems to float effortlessly on the bumper. We liked they way the new Toyota Avalon’s center console is designed to integrate the infotainment screen. We loved the continuous line and motion that leads your eye up. After a few hours I was ready for a second lap around the show, but the caffeine had worn off for the rest of the team. Overall, we had a lot of fun at the show talking about the various new models, the auto industry at large, and what we aspired to drive someday. 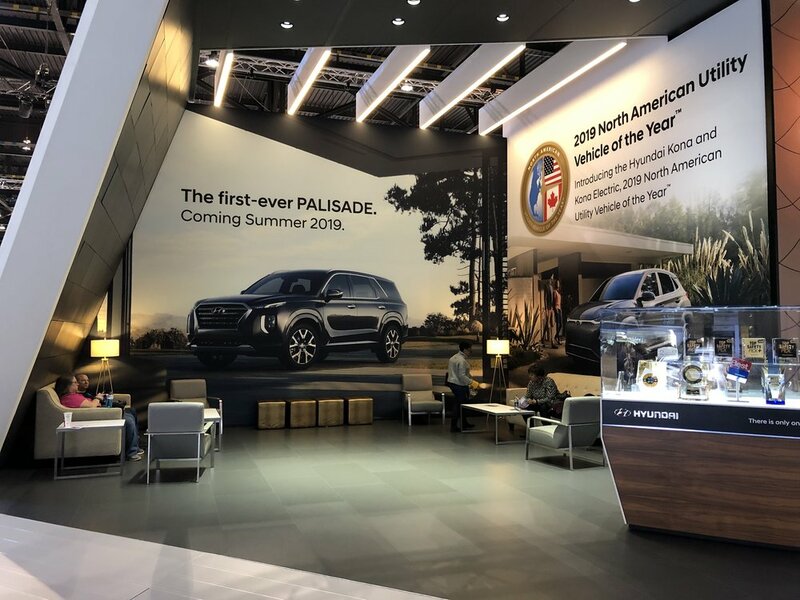 At future shows, we hope to see more concept cars and process displays, because we’re eager to learn more about the design decisions being made and the production process. We look forward to next year and will report again! We firmly believe that diversity in experience makes for the strongest UX, and Blue brings us exactly that. With a background in graphic design, branding, and visual communication design, Blue brings a unique perspective on why and how design is more than just aesthetics. Clearly a UXer at heart, he decided to strengthen that holistic view on user-driven design by pursuing his graduate degree studying design strategy and research at IIT Institute of Design. Lucky for us, the next step in this journey led him to join the TC team, and we couldn’t be more delighted to have him! Tell us something interesting about your hometown. Cebu has several of the best beaches in the Philippines. Fine white sands and rich blue waters. I guess that might be the reason why I’m not a big fan of beaches anymore. Nothing can compare. Pictured left: Future office of Traceable Change: Cebu. Ooooh a hard one. Why can’t I be a hybrid mutant? Half elephant, half hamster, full awesome! Imagine the tiny body of an elephant and the head of a giant hamster. Cute! Stewed kamaru (mole cricket). My aunt dared me back in college to eat an entire bowl for P500 (PHP) or $10 (USD) equivalent. I was in college. I needed money. This is a bit cheesy but I wanted to be a doctor. Being from a medical family, that has always been my choice growing up then I did a year in pre-med and I hated it. I’m now a designer. Israel was amazing! Seeing all the historical sights was breathtaking. What’s your most overused word/phrase? Doody. That’s the name of one of our dogs and the answer to all questions. Doody. Wouldn’t you be saying his name constantly too? Despite my stuttering problem, I love to sing. I used to be the lead vocalist in a number of bands in the Philippines. I was a rowdy and naughty kid. I loved playing pranks on my siblings… Come to think of it, I still do. It's not easy being the internal UX team. As consultants, we see your struggle. Recently, I had the honor of being invited to teach design methods at Ironhack Paris, a boot camp focused on helping professionals shift their career paths to user experience and web development. Teach user experience in Paris??? Yes, please! The entire Ironhack leadership team was nothing short of amazing. They were very thorough in helping me get situated and fully prepared to have a successful week. Then came time for the moment I was eagerly awaiting: meeting the students! Despite being in the middle of a lesson that day, everyone took a moment to kindly introduce themselves to me, and I immediately felt a strong connection with the group. One of the most exciting aspects about teaching a boot camp course is the diversity of professional backgrounds. The UX students had experiences in marketing, engineering, graphic design, and finance. As the week progressed, it was exciting to learn how their previous experiences influenced the way they approached project work and problem solving. I had such a rewarding time working with the Ironhack students, and the week went by in a blink of an eye. Teaching in a boot camp setting was completely new for me. The ultra-fast pace and the sheer amount of materials to cover forced me to rely heavily on my time management skills. It was also a great exercise in being concise and identifying only the most critical points to focus on. We covered a wide range of topics, from UX strategy blueprinting, empathy mapping, and problem statements, to rapid prototyping, and design validation techniques. Above and beyond textbook methods and techniques, the students were very interested in learning collaboration techniques and building soft skills. How do you navigate a difference in opinions and come to a consensus with designers on your team? How do you integrate various stakeholder objectives and opinions when designing a product? How do you get team members motivated and excited to be a part of an initiative? Sharing my own professional experiences provided students with “real word” examples, which can (and often do) deviate from textbook learnings. What are the challenges to working in user experience? How often do I use frameworks like user journeys? How often do I actually get to sketch and paper prototype products? What’s the difference between working as a consultant at a firm versus in-house? As a consultant, who do I typically work with on the client-end? Always end my feedback with advice and encouragement! Especially in a boot camp setting, but certainly in any classroom learning environment, it was important for me to remind my students that the course work is fast and meant for exposure, not for immediate mastery. There was a sense of calm and relief when I pointed out the fact that they’ll have time to practice and apply their learnings on the job, and that just like the design process, we are constantly iterating and refining our knowledge, skills, and craft. The experience at Ironhack is something that will certainly rank amongst my list of most memorable and rewarding. There were aspects of my experience that were very reminiscent of my day-to-day routines at Traceable Change. We started each class over coffee and discussed where the students were in their projects and how things were going. I also started each class by playing some brain music—Bossa Nova, but was quickly and unanimously shut down when I tried playing *NSYNC. My time at Ironhack ended as how I imagine all Parisian endings happen – with a spread of French pastries and candy. My students also surprised me with a bottle of French wine covered in with UX-themed Post-Its and handwritten thank-you notes. I wish them the best of luck and hope to cross paths with them in the future. À ta santé! 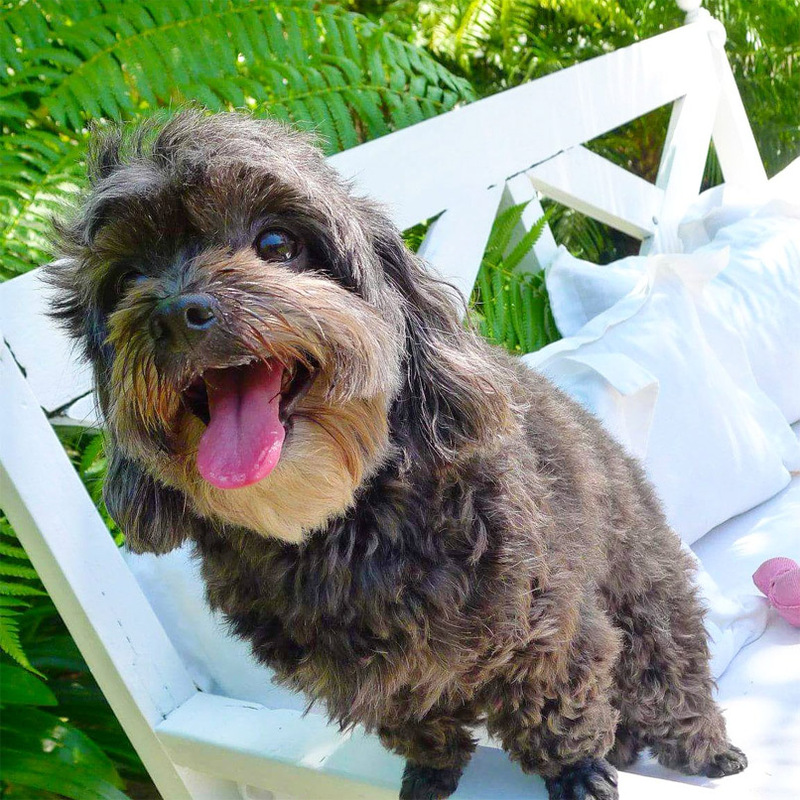 Gino Fiore is one of the founders of Traceable Change. In addition to his recent collaboration with Ironhack, Gino is a design mentor at Designation Labs and a program coordinator at UIC connectID. To say I’m not a morning person would be a laughable understatement. My inability to move at a non-glacial pace in the morning has plagued me from a young age. Over the years I’ve adopted a few time-saving tricks to help me get out the door faster, but my lack of brain power in the early hours makes decision making of any kind a serious struggle. In a recent attempt to reduce the mental workload in my morning routine, I decided to try simplifying my wardrobe. I figured it would not only be a fun excuse to go through all my clothes (and maybe do a little shopping), but would keep me from agonizing over what to wear each day. Minimalism and decluttering techniques have spiked in popularity the past few years, so I had no shortage of resources to choose from. In the end, I settled on a book called The Curated Closet because it promised a clear-cut, easy to follow method for streamlining my wardrobe. Excited to declutter and learn some new organizational skills, I dove right in. However, as I started going through the process I began to see similarities between how I was approaching my closet and how I might approach a design problem. As it turns out, The Curated Closet process has a a lot in common with the UX design process. The first few chapters of the book are about doing a deep dive into your current outfit choices to pinpoint the areas where you want to see improvements. This involves documenting what you wear for two weeks, then logging what you did that day and how you felt about the outfit. The first lesson I learned? I’m terrible at taking selfies. After the two weeks are up, there’s a questionnaire that helps you identify outfit patterns and dig in to your biggest hurdles and motivations. The author then asks you to reflect on your answers and come up with a few personalized goals that will set the course for how to move forward. I had to really spend some time with these questions and they did a great job of helping me understand why I dress the way that I do and where I should be focusing my efforts. In design, you should always begin with a discovery phase like this where you focus on getting to know the user or subject. Similar to documenting outfits and filling out a questionnaire, designers may use ethnographic observation, diary studies, and/or an in-depth interview to better understand current behaviors, preferences, and underlying needs. Through analysis of this research, designers are then able to glean insights, identify opportunity areas, and develop design goals and principles that will shape their design approach. After learning what I needed to work on and creating my style goals, my next task was to look for outfit inspiration. My objective was to find outfits, individual pieces, and style vibes that appeal to me, and then identify patterns in the images I selected. Clearly, I’m drawn to long layers and a whole lot of neutrals. Gathering inspiration is also a common step in many creative processes, which the author acknowledges. Many designers will search for best practices and ways that others have addressed similar problems to help spark ideas. Diving into specific interaction patterns, organizational layouts, and color palettes can also help inspire and guide a designer’s approach. An inspiration board I put together when designing a mobile dashboard. Next, I needed to make my style ideas tangible by getting into a store and trying things on, without the expectation of buying anything. The goal here was to experiment with the aesthetic I had come up with and differentiate between what I liked in theory and what I actually liked on me. From there, I could adjust my vision to make sure I was focusing on style elements that I knew worked. This experimentation phase was a key part of the wardrobe building process, just as the ideation and prototyping phase is key to any design process. Ideating and prototyping are hugely important because they allow a designer to quickly get their ideas out, see what’s working, and refine their approach before making any final design decisions. Trying clothes on in the store was like testing a low fidelity mockup of my wardrobe – I could try out my concepts and get immediate feedback before investing too much time, money, or effort on a solution that wouldn’t be successful in the long run. After testing out my fashion hypotheses, the next step was to create a detailed style profile that pulled everything together. The profile was a summary of all the patterns, colors, silhouettes, and materials I had identified as elements of my style throughout the process. Designers will often create similar profiles as a design is developed, in the form of a style guide or pattern library. These are documentations of the agreed upon visual language, including when and how to correctly use different colors, typography, iconography, and interaction patterns. Style guides help maintain consistency for products because anyone working on the design can refer to them when making design decisions. Now that I had my guide, it was finally time to start clearing out and rebuilding my wardrobe. Step one was to go through my current closet and assess each item based on how well it fit my new style guidelines. In the design process, this is similar to a content audit or heuristic evaluation where a designer analyzes the current state of a product to identify high and low points of the experience. From there, I could determine where the biggest gaps and under-represented areas of my wardrobe were and create a prioritized roadmap to help me tackle my wardrobe overhaul one step at a time. Because life and personal style aren’t static, the last few chapters of the book cover how to continue making smart clothing decisions and updating your wardrobe over time. After all, it would be a shame to do all that work and not know how to move forward with it. In design, creating an experience strategy helps mitigate the lack of direction that can occur after the initial design is developed. Experience strategies outline design principles and a long-term vision that ensure future design decisions are rooted in a strategic vision and not made arbitrarily. In the end, it turned out that I had the necessary skills to curate my closet all along. I may not have learned any new techniques, but it did make me think about how I can apply design processes to other challenges in my everyday life. Next on my list? Figuring out how to stop hitting the snooze button. Jillian Larson is an experience designer and strategist at Traceable Change. In addition to applying design thinking principles to her everyday life, Jillian can be found eating her way through Chicago and hanging out with her cat.